Here is a bouncy structure made of dowels and rubber bands in which no sticks directly touch each other. 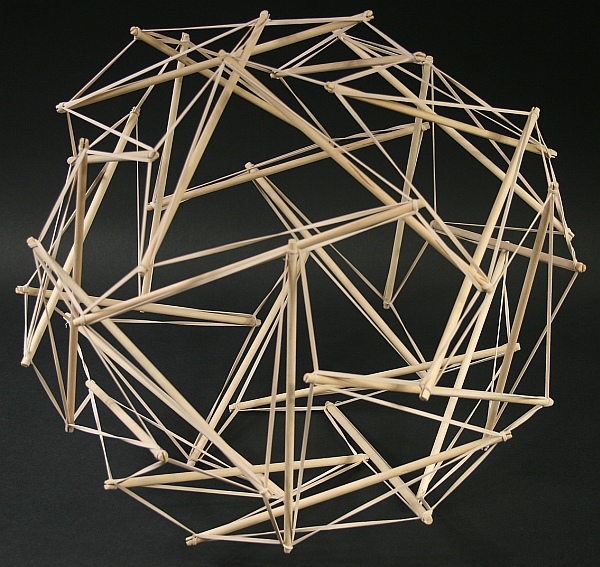 The compression members are not connected, yet the entire structure supports compression, which is an unusual property often called “tensegrity.” In this example, the thirty sticks follow the edges of a dodecahedron, so there are twelve five-fold spirals. 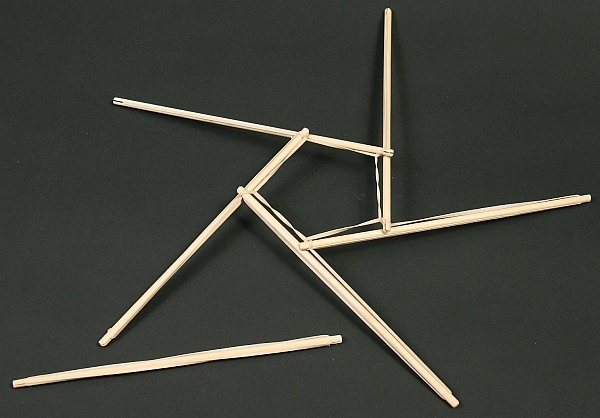 Symmetric models of this sort are easy to make from dowels and rubber bands. Here, I cut small slits at each end of 3/16 dowels to hold standard office rubber bands. The basic unit is one dowel holding a rubber band stretched between its two slots, as seen at the lower left below. Start by making the cycle of five units shown. 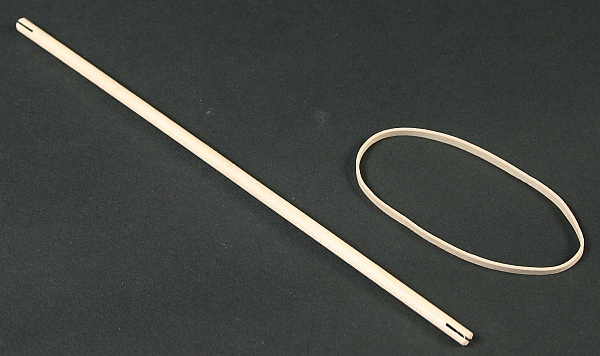 Join units by connecting a slot to the rubber band of another dowel, roughly at the one-third point. Then add more units to make large triangles using the two-thirds left over from each rubber band. The unconnected unit below is positioned to be connected in two places to make such a triangle. Follow this pattern everywhere and the ball builds itself. The twelve pentagons will all spiral with the same handedness, each one third of a stick in length. This article first appeared on Make: Online, October 24, 2011.